Benefits Planning Service is a full-service employee benefits consulting and brokerage firm servicing clients nationwide. Our 30 years of experience and knowledge contributes to our success with fully insured and self-funded insurance. We understand the time and attention each client deserves and work to clarify new ACA compliance requirements, benefits planning and other topics that may seem confusing or overwhelming. 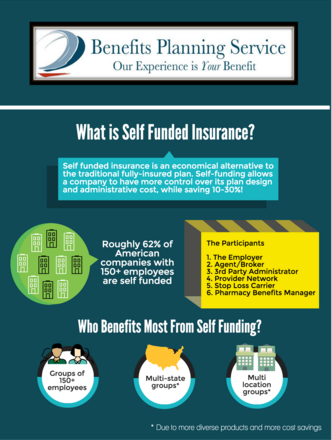 Self funded health insurance doesn’t have to be complicated; let us show you how our experience is your benefit! Are your benefits expenses out of control? Our design & purchase strategies will typically save an employer 10-30% over current health care costs. Whether your company is small or large, growing or downsizing, we can help. Are your current benefit plans inflexible? Self-funding offers many companies an opportunity to reduce their medical and dental plan costs as well as have far greater control over their plan design and benefit schedule. 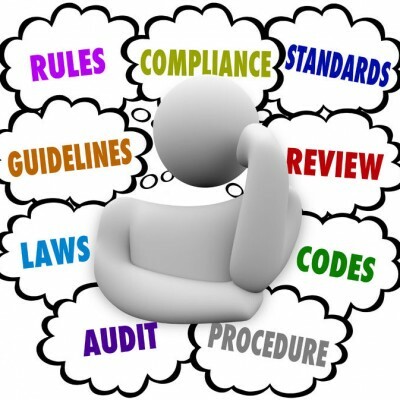 Overwhelmed by the new ACA compliance regulations? New compliance laws from insurance companies and the state & federal government can be confusing. We can help you maintain proper compliance. Is your current broker not servicing your needs? Our dedication to developing a long-term working relationship with our clients is what drives us. We go to great lengths to provide the very best product at the lowest possible cost. Dare To Compare...Our Experience is YOUR Benefit! – The “composite or average price” is determined from demographic factors and the “pooling” of claims. Based on this information, a reasonable conclusion is that 80% of the “healthier” employee groups are subsidizing the “sickest” 20% of employee groups. This “perfect storm” often provides the opportunity for an employer to enjoy significant savings with a properly designed self-funded medical plan. Benefits Planning Service assists each of its clients with timely compliance. To say the landscape of “employee benefits” is constantly changing would be an understatement. There are new plans, new terms, new conditions, and new legislation continually being introduced, which all require on-going compliance considerations.